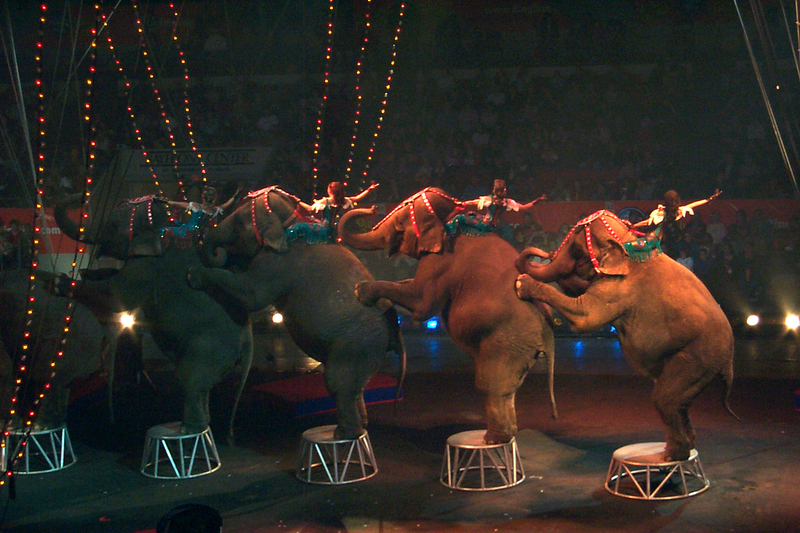 The circus is in town, the elephants arrived. I'm in shock when I saw the prices on Bricklink for these used elephants: at least 24 dollars, without cloths and mahout. Yesterday I saw one elephant on a collectors fair for 40 euros and I was wondering if such price was really what collector's would pay for it. And yes someone did because later I noticed the elephant was sold. Some sellers are asking unbelievable prices and I sometimes can't figure out why. Like these elephants, they came in set 7414 in 2003, which is in my opinion not old, but it seems that some collectors consider this item as not very common. So be it. I bought this group in 2004 on a Dutch auction site for 20 or 25 euros which seems to be a good investment, altough I'm not selling them. Yeah... I can't even talk about how much I paid for an elephant this winter. I do love it though. Well you can get sets that are sold out yesterday that double in price so its not all about age. 2003 was a long time ago when you think about how many people have found Lego since then and would have missed out on these sets. Lego have not made any newer elephants like they have with dinos and other big molds so I do get why people want these. Look at the price of goats which are much smaller and come from a much newer set. Unfortunately it would be a pricey set I'm guessing, but hey 6 elephants in a circus set (with other animals, like bears, and Lions) for 149.99 USD? I'd probably be in on that. If they were available in new grays, I'm willing to bet they'd be double the price if not more. 2003 was also when LEGO nearly went bankrupt, whereas today they are the largest toy company in the world. 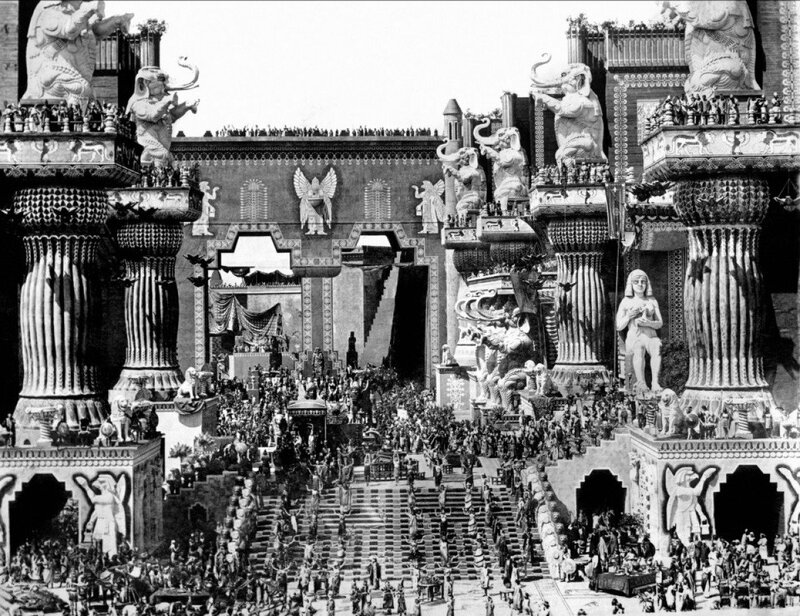 In other words, there are a LOT more LEGO fans today than there were back then, and so fewer elephants to go around. I bought two elephants a couple of years ago (for LOTR of course) and one of the ears went missing. Now, I have found the ear and can't find the elephants. What is it about elephants? 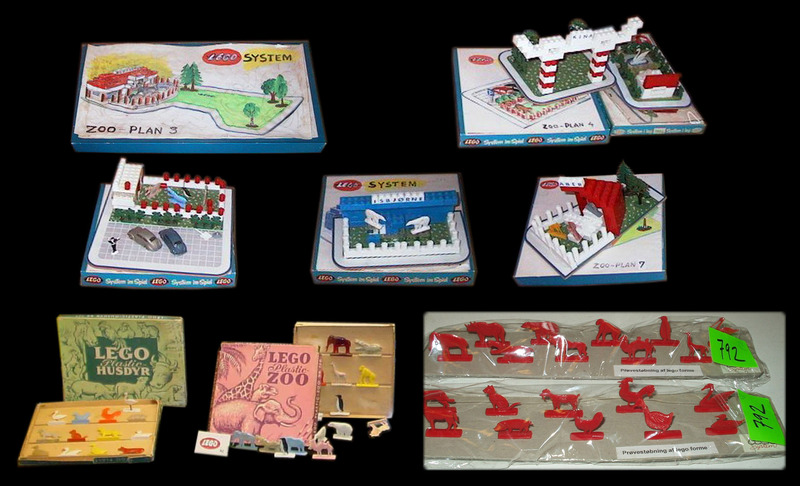 Back in the 1950s TLG was making a zoo animal and farm animal set of 2 dimensional animals that were not part of the LEGO System of Play.... until in 1957 some designers were working on a LEGO zoo theme that would be for the 1950s Town Plan board (made of Masonite).... but although the animal sets were released since the early 1950s, the individual zoo sets never were put into production,.... these images are from the Billund Archives/Collections. Images from my Unofficial LEGO Sets/Parts Collectors Guide Chapter on LEGO Prototype Sets/Parts. Whoa! I had no idea goats were going for that much now. I guess I will not be using mine in any show display MOCs anytime soon. 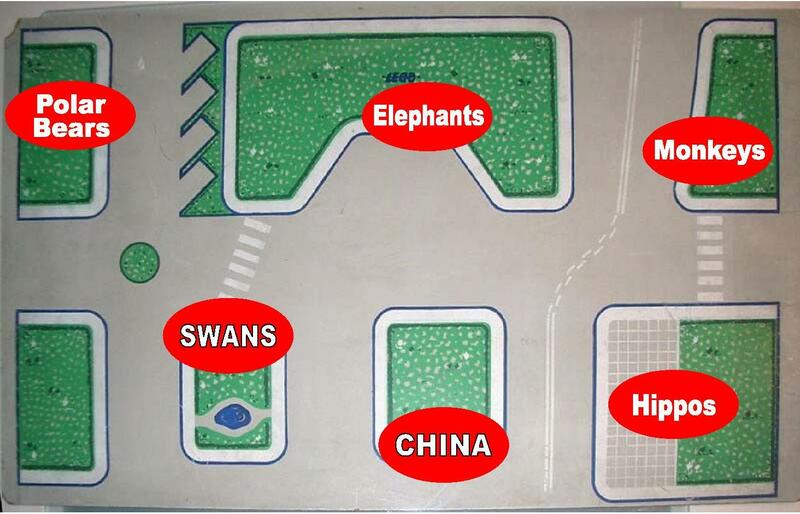 I like that the Town Plan board notes 'China' as an animal. Seriously, I bought one on BrickLink some years ago. I don't recall it being hugely expensive; I think it was around £6 ($10). Seemed fairly reasonable. I feel sorry for people who are after one today. I also have a goat. I'm lucky that I've been an AFOL a long time. I buy parts that catch my eye not too long after they come out even if I don't have an immediate use for them. By the time I do, the prices have often rocketed. If you're getting into LEGO now, I suggest browsing BrickLink and keeping an eye on new sets, and building a reserve of parts that might be difficult/expensive to pick up in future. Yup, the Orient Adventure sets are one of the coolest themes LEGO ever offered. The design, figs, playability and level of "exoticness" is just incredible. So nothing surprises me about the price increase as quantities were much more limited in the early 2000's. Glad I picked up most of these sets in 2008 when I began collecting for me (as opposed to just buying for my son.) If I were a child at that time, this would have been the theme that I would have played with the most. It quickly takes you to a fascinating other place in time where anything is possible. It's just a very nice shape, I think. Very much recognisable as an elephant, but still has a very 'Lego' feel about it. Like, it's not too realistic, it is still kinda square like a Lego animal should be. There were a lot of drugs back then. I had a bunch of that set back when they came out. Wal-Mart clearanced them for $5 each. I ended up keeping one I think. I guess people are willing to spend the money. Goats weren't going for too much just a few months ago it looks like, but since then only higher priced items are listed and they've still sold. Sorry if this is offensive, but people are idiots thinking a tiny plastic goat or elephant is WORTH that much. Don't get me wrong, I'd love to have some elephants and goats, but I wouldn't pay those absurd prices for one. ^^I picked up the farm animal group from MVR which is the only source of the goats (2 goats, 1 pig, 3 chickens) for $22 plus shipping in the last week, and did feel a little silly doing so. However, I could turn around and sell 1 goat and basically cover the entire transaction. (But I'm not going too... so not sure if that makes me more or less of an idiot. :/) I've been surprised at a few items recently that really seem to be jumping up quickly in value, such as the animal costume CMFs, rare animals, blue base plates (only kind of kidding there...). Supply (goats only in 1 set ever) and demand (increasing interest in Lego) will do some funny things to prices. Now I just have to spot what will start increasing next and buy them before they get out of my price range! Smaug is sure to cost a lot a minute after the sets are sold out. It doesn't look like Lego made that many hobbit wave 3 sets and most places are not selling them. I would not pay that price either, but I would not call people 'idiots' here. Many here are fans of LEGO, that also means those who MOC and build displays. They are collectors who will pay what they want to collect the parts they want, obviously there must be plenty of 'idiots' to drive the price that high to begin with. There are people that have disposable income and spend it. Is it really different than someone buying 50 K sports car? I guess that makes me a little more happy about the 3 MVR's I have. On a side note - when my wife looks at my LEGO stash and complains about it - I just show her how much the POTC Ships and BBB are going for (I have two BBB that I picked up on whim from Walmart - clearanced for $40). Hahaha! Gary, I love this photo! Wish I had been around in the 1930's when my Mom was a child; she got to go to all the silent movies for free because her mom played the piano during the films. It would have been wild seeing Grandma play and Mom jump up and down cheering with the crowd. BTW I DID find an "elphant" today in my Orient Adventure sets. HOORAH!!! Either way, you need to keep hippies and hippos away from the china. What about no Frisbee or no hacky sack zones? Sorry if this is offensive, but people are idiots thinking a tiny plastic goat or elephant is WORTH that much. There's really no thinking involved. It's worth what people are willing to pay. Yes, but some people find it "idiotic" to pay so much money for a tiny piece of plastic. That's not what was said. One can rationally believe in the worth of an item while also believing anyone that purchases it is an idiot. To consider those that believe in the worth of an item idiots, when there is objective market history to back it up, is ridiculous. I think we both are saying more or less the same but nevertheless it is al about emotions like I said before.